Hi Everyone! Whoohoo! Check out my first Scor-Pal grid card! I saw Mel's card of Mel Stampz and I just had to make one. . . just like hers. I thought her card was sooooooo pretty that it inspired me to try this technique out. I've seen other people do this technique but I have never been really motivated to make one until I saw Mel's card the other day. Anyway, here is Mel's card: Click here. I actually "CASED" her card. . .I mean not exactly but the overall design is similar. I didn't use markers on my card and I didn't distress mine. Instead I added micro beads to the center. I'll try the marker technique on my next grid card. This is my first time with this technique so I wasn't very ambitious. I really love Mel's style. . .there's a subtle look to her cards that makes her cards look very elegant. My cards have a tendency to be intrusive. . .almost crying out for attention! LOL! I usually or typically head in the direction of being overly bold. . .especially in the colors and design. I try to be subtle but arghhhh, I can't stop myself sometimes. This time I held myself back and I am so satisfied with how my card turned out. It's bold but not intrusive or glaringly loud, KWIM? LOL! Anyway. . .go check out Mel's site. . .she has a ton of links on the grid technique as well as her own tutorial. I think I'll make another one. . .making this card was just, oh so fun!! Very, very pretty, Maria. I can tell it was a lot of delicate work. Very pretty in pink! This is really pretty, Maria. Beautiful work! It is truely beautiful and I think it is a delicate card. Love the card. I was thinking about getting the score-pal and now I'm convinced. Love this card Maria! I have to try this technique too! Wow Maria I love this so much, superb work. Beautiful, gorgeous, dainty, amazing...and that's just the beginning. Looks great, good job ! Thanks for sharing. Hi, Diana Crick here. I love your card, indeed tasteful. 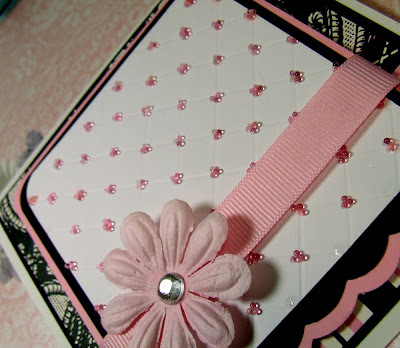 When I first saw Mels card I immediately thought of tiny beads instead of french knots (I don't iron or sew) and was thrilled to see you do the micro beads. Your card has exactly the right amount of "bling". Awesome job. Maria, OMGosh!!! This is awesome & oh so elegant! 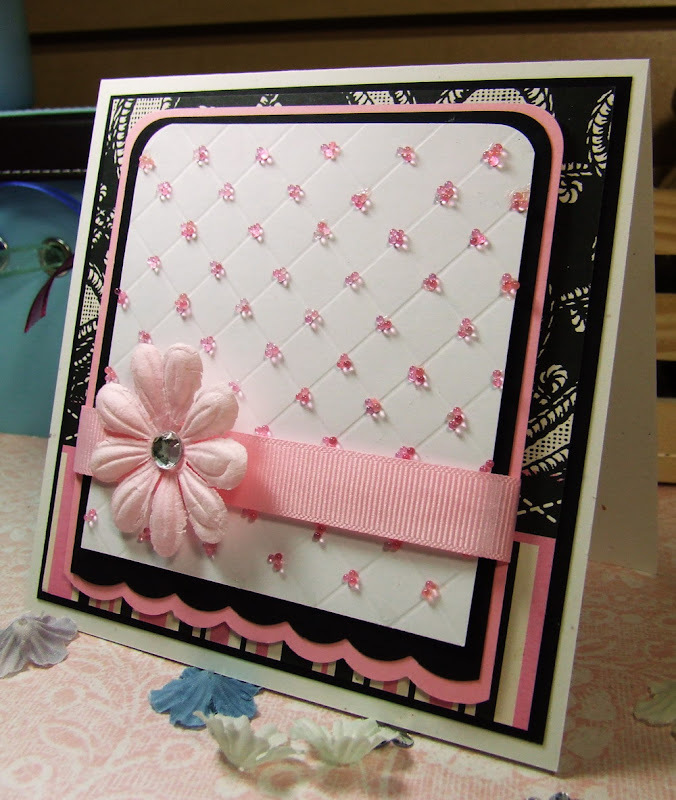 I have to say this is one of your best cards, I so luv it & the colors are so soft & did I say elegant? Great job!!! Beautiful card!!! I love the colors-pink, my favorite:) My Scor-Pal just came in the mail & I'm gonna have to try this one out! Love the idea of the beads too. I sew but this is sooo much easier. FANTASTIC JOB, as always. What a BEAUTIFUL card!!! 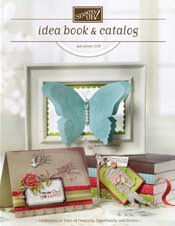 I love everything about it Maria and you should really send your cards in for publication...they are awesome!!!! Wow - stunning card. Simply love it. 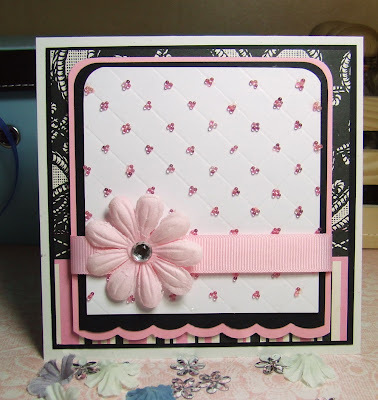 Gorgeous card- I love the grid and the pink and black. Oh too beautiful, love these colors, and design. oh wow, what a card!! Very pretty Maria. Wow those beads are something. WOW, WOW, WOW.